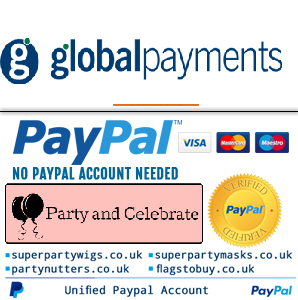 , where we have a huge range of flags, bunting and waving flags at fantastic prices. 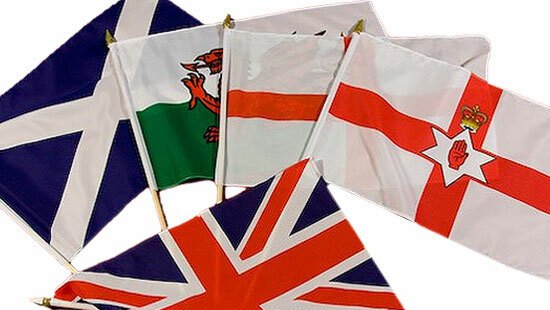 Browse through our enormous selection of Great Britain and Union Jack themed items, including flags on sticks, wearable products such as hats and capes and flags of the nations that make up the UK & Ireland, such as English and Scottish flags. 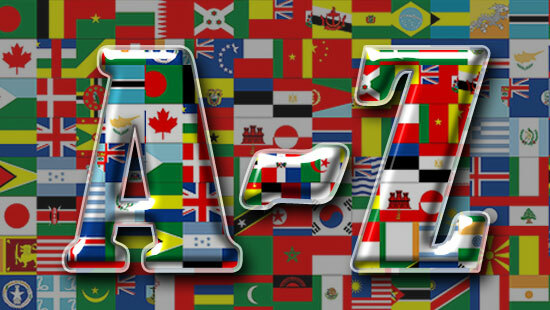 Take a look through our international section, which is full of 5'x3' flags with eyelets, for almost every country in the world. 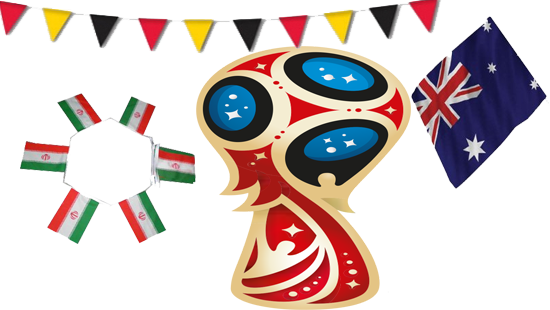 Most of these country flags are also available as flags on sticks and bunting. 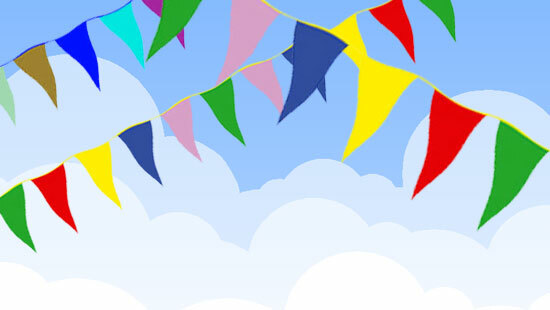 If multicolour bunting is more your thing, you can get plastic, cloth or paper bunting at a great low price. It's also worth looking through our themed flags. 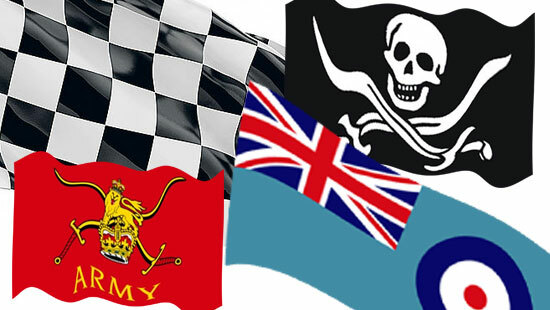 We have pirate jolly roger flags, Armed Forces flags, checkered, rainbow and miscellaneous USA flags, such as the US states. 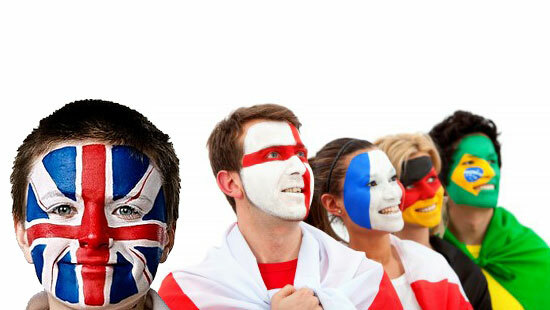 Also available on our site is a large range of colour face paint, which should always be worn to sporting events, as well a coloured hairspray.